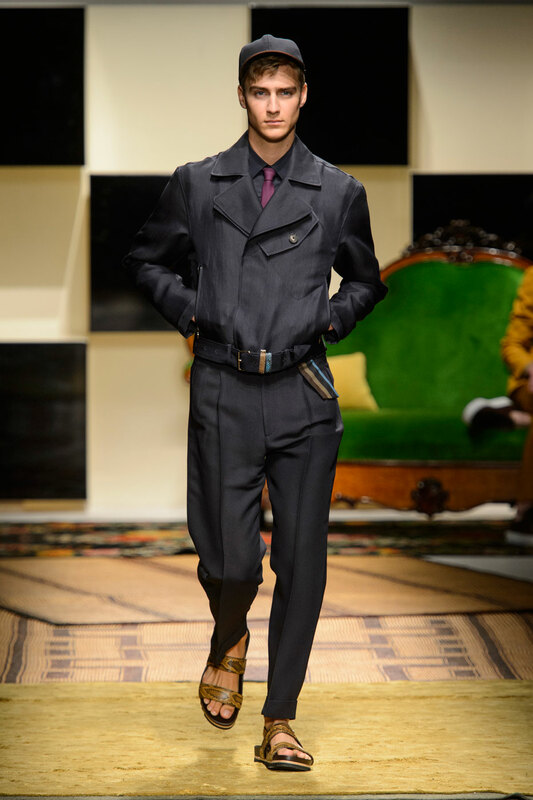 A visionary, a creative genius and a man ahead of his time Ferragamo left behind a legacy that would take years to reclaim it’s iconic appeal in the fashion industry. 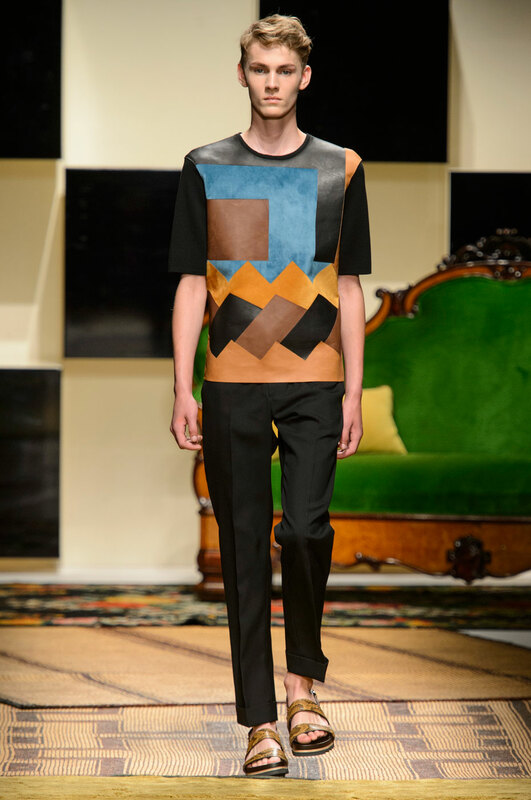 Times have changed and the brand’s strikingly bizarre ‘objet d’art’ echoes throughout the new collection. 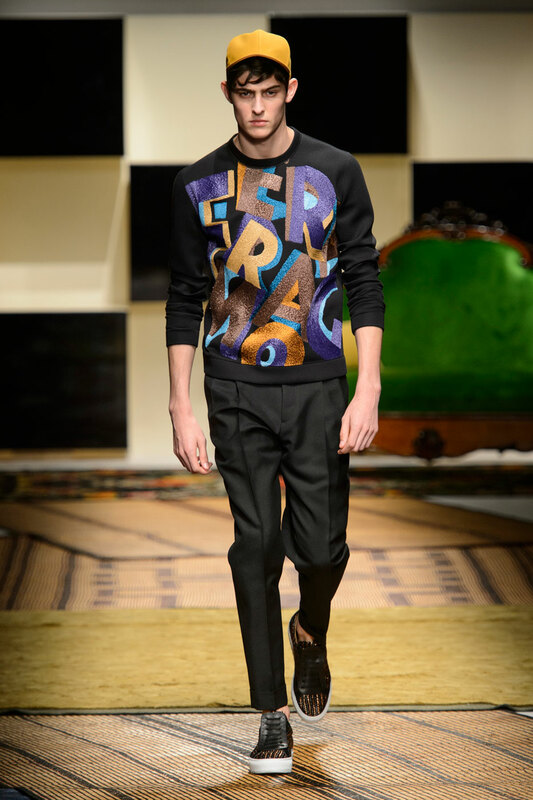 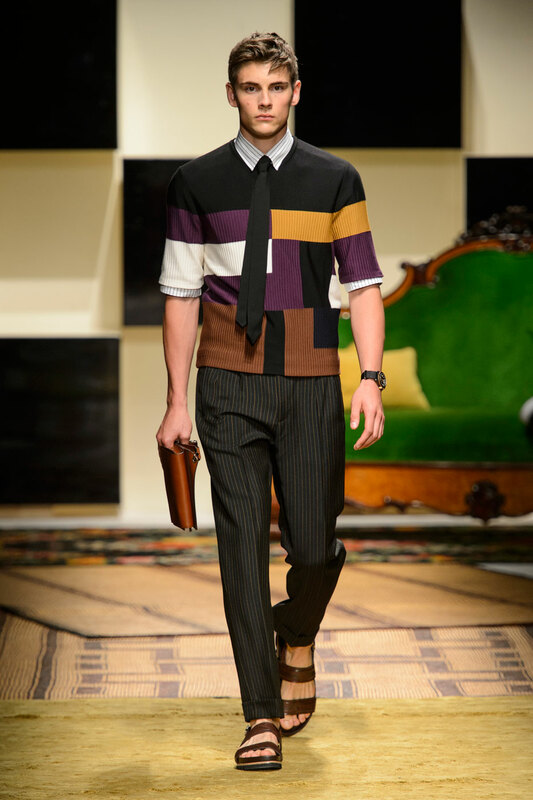 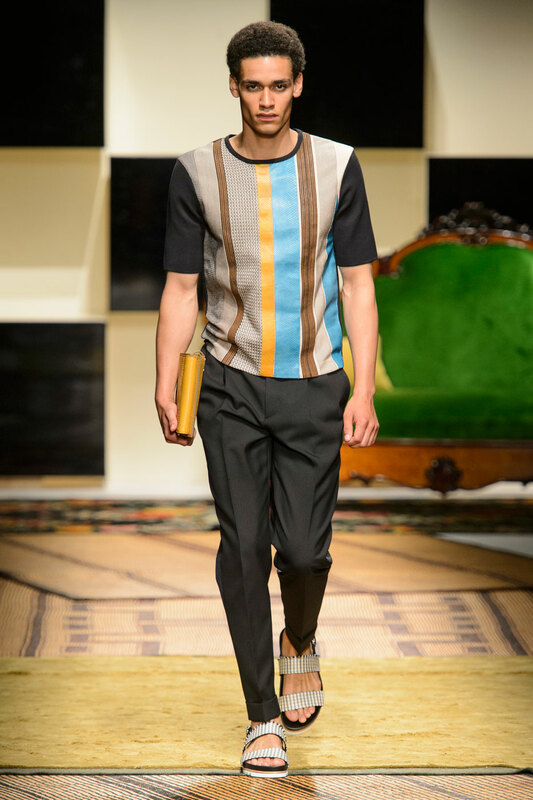 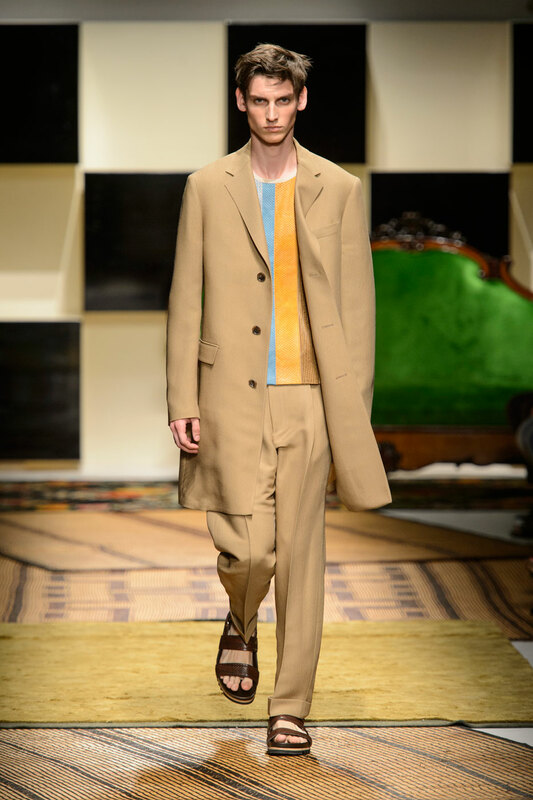 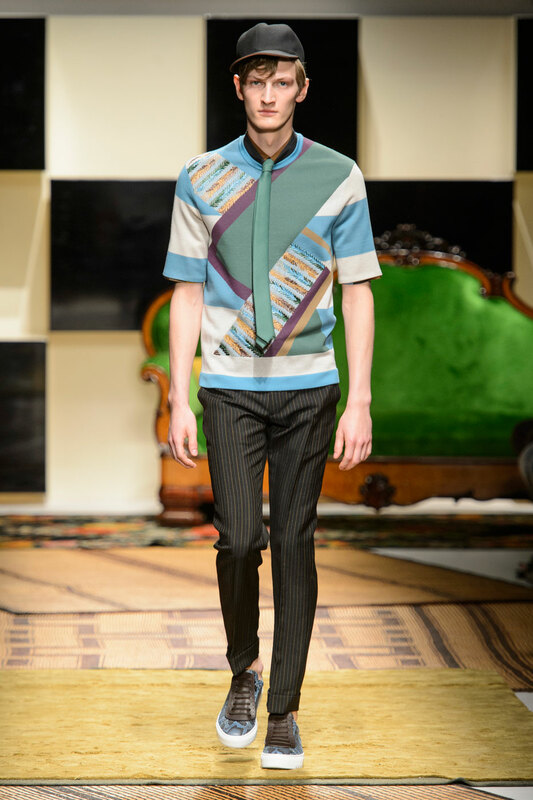 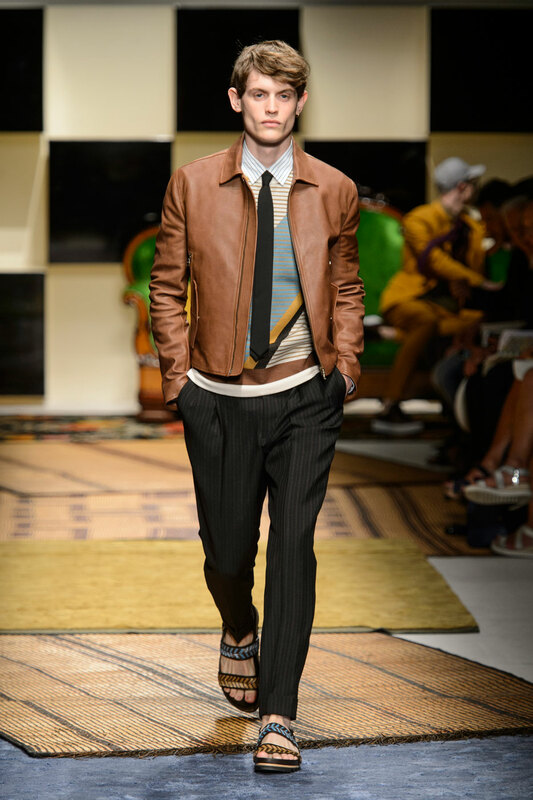 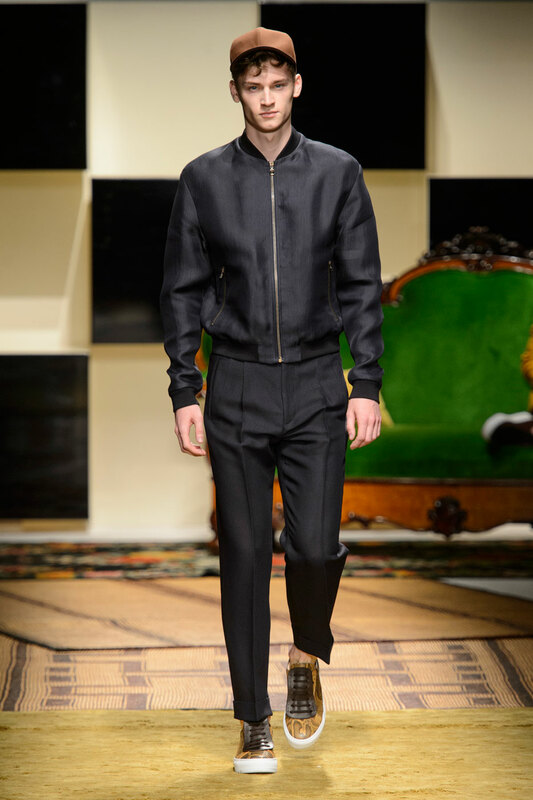 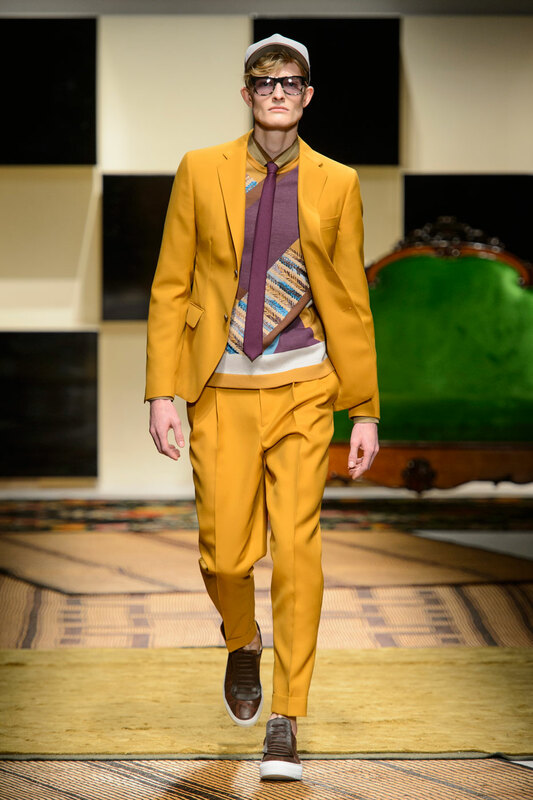 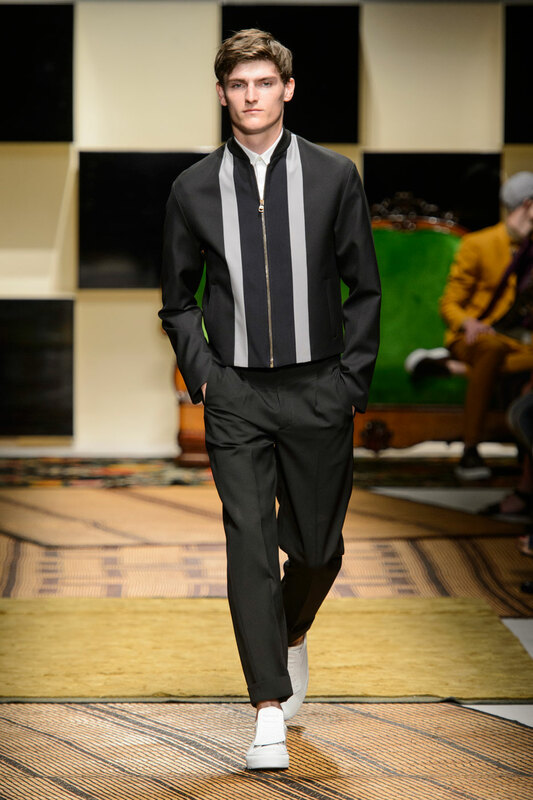 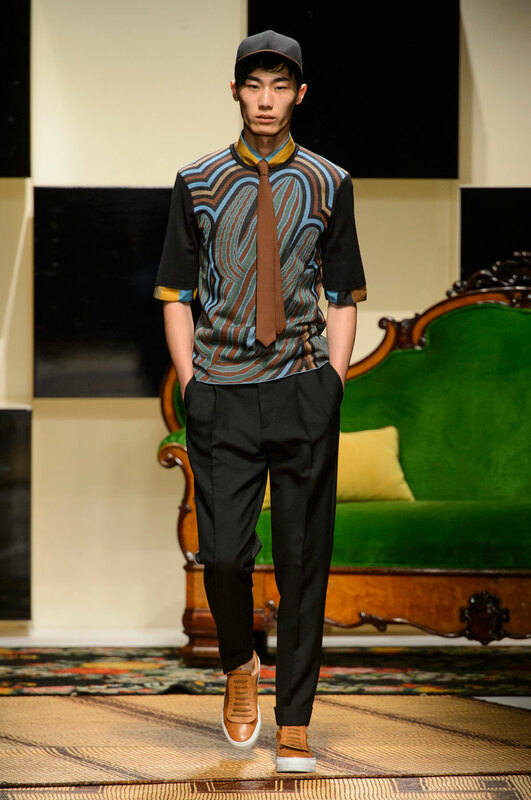 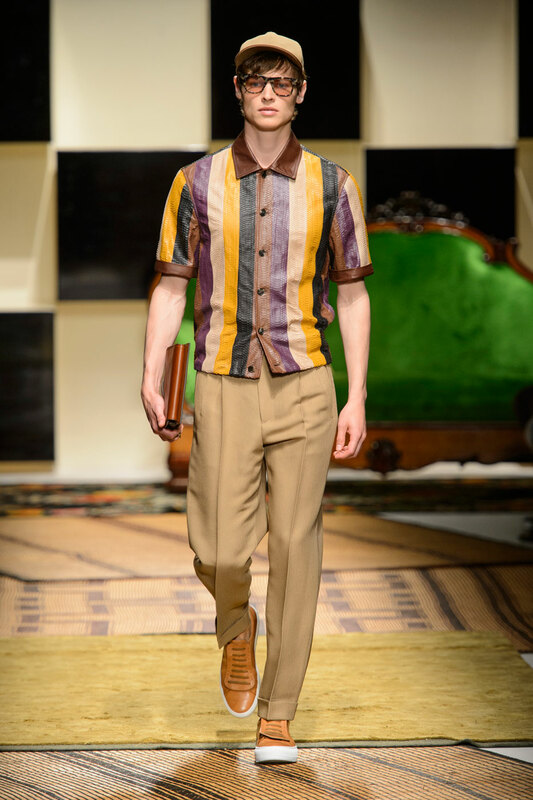 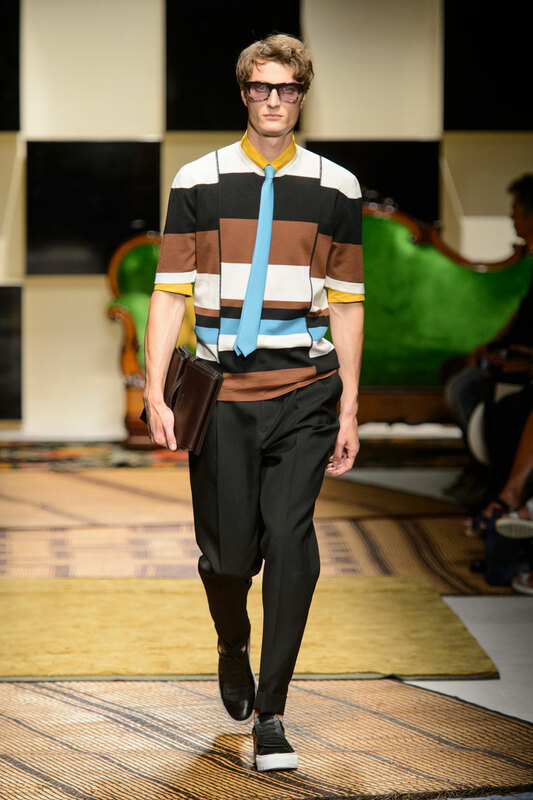 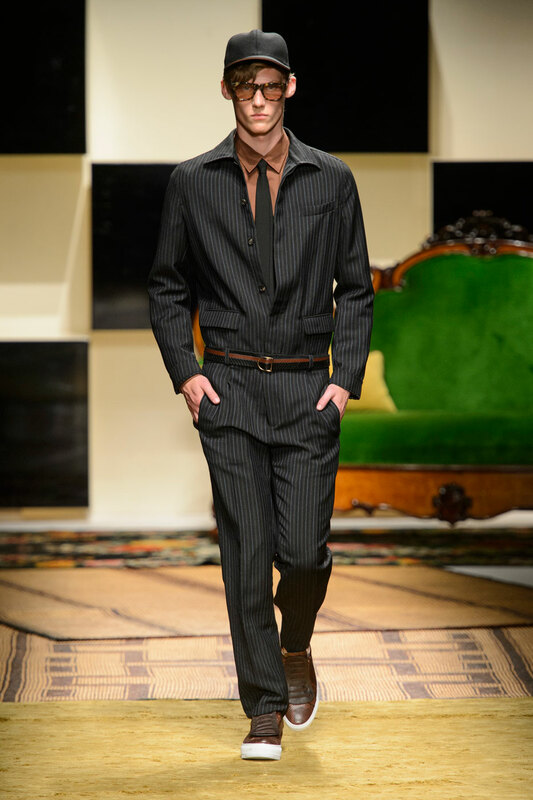 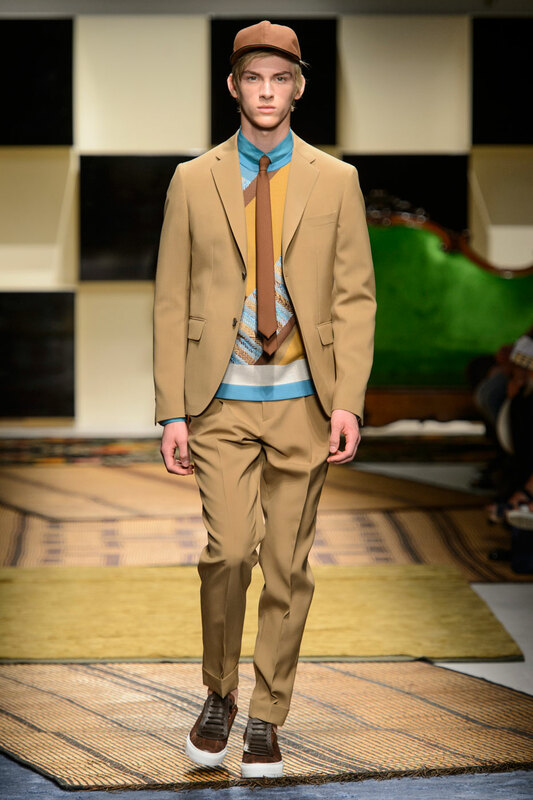 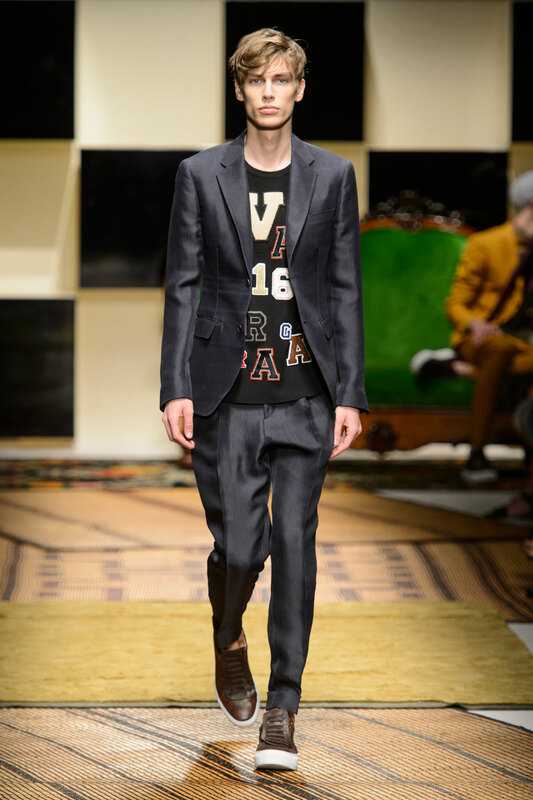 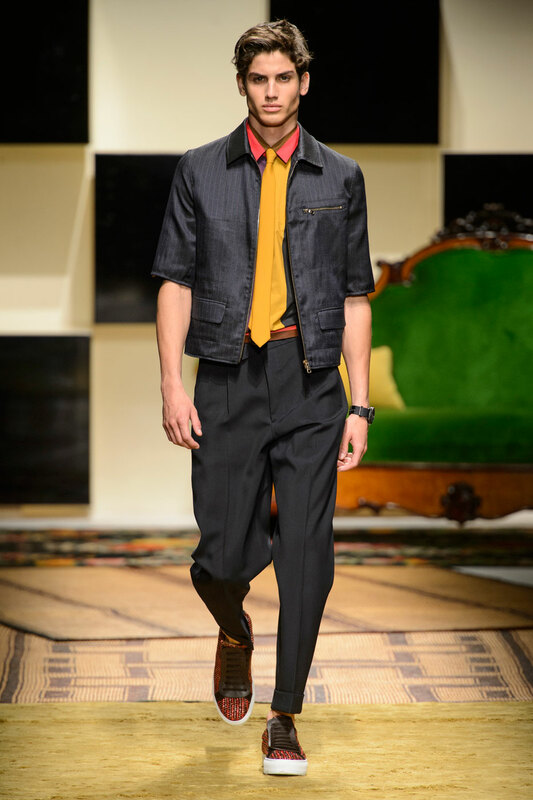 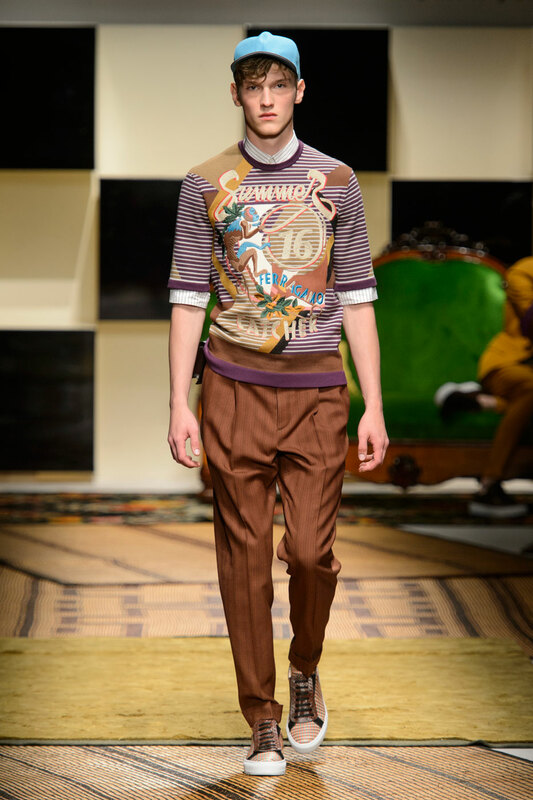 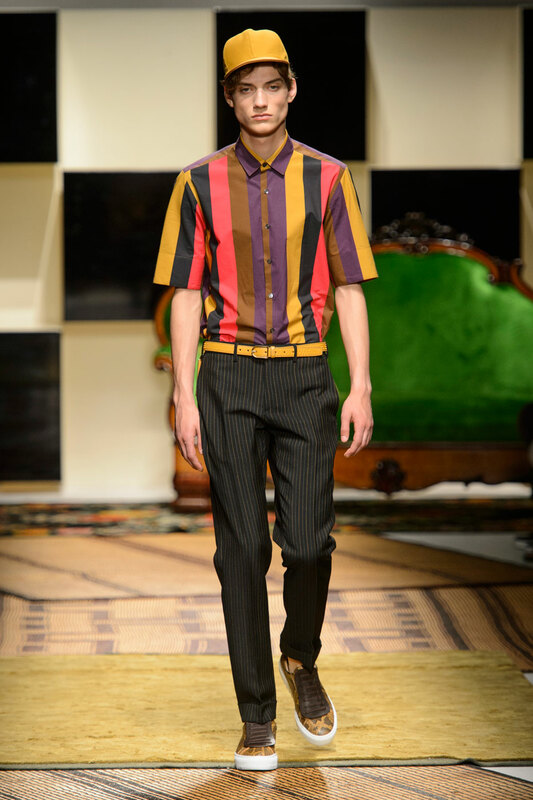 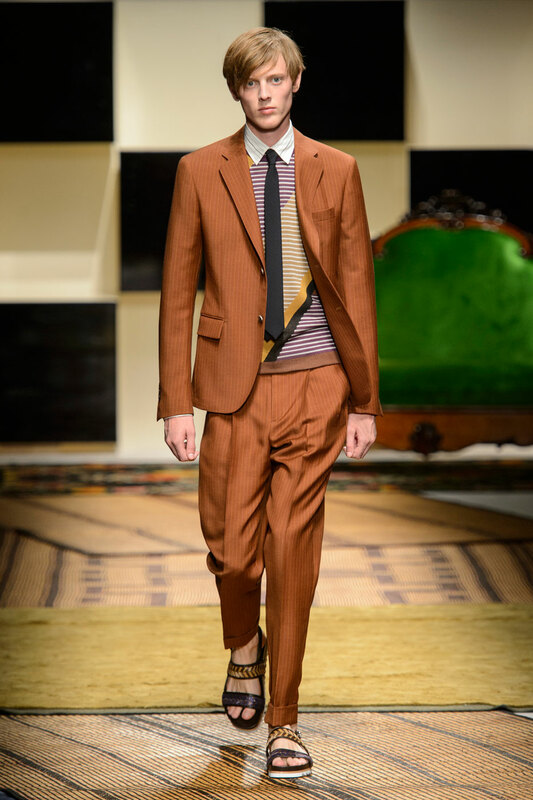 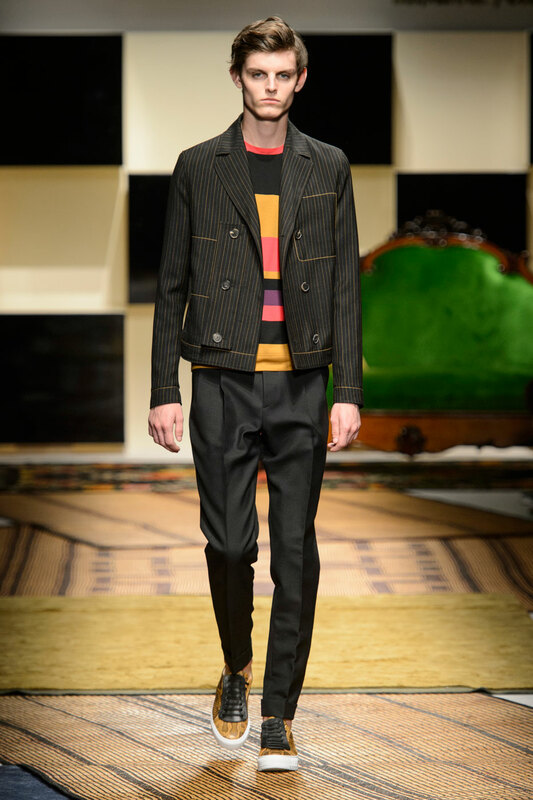 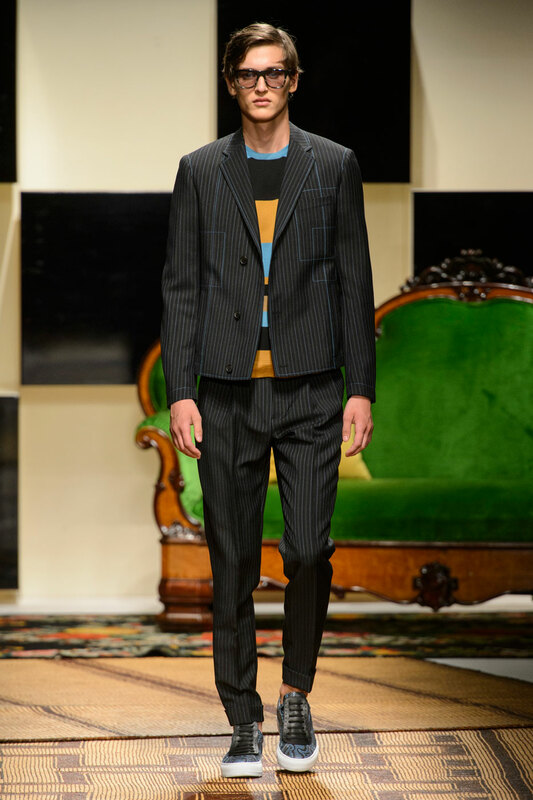 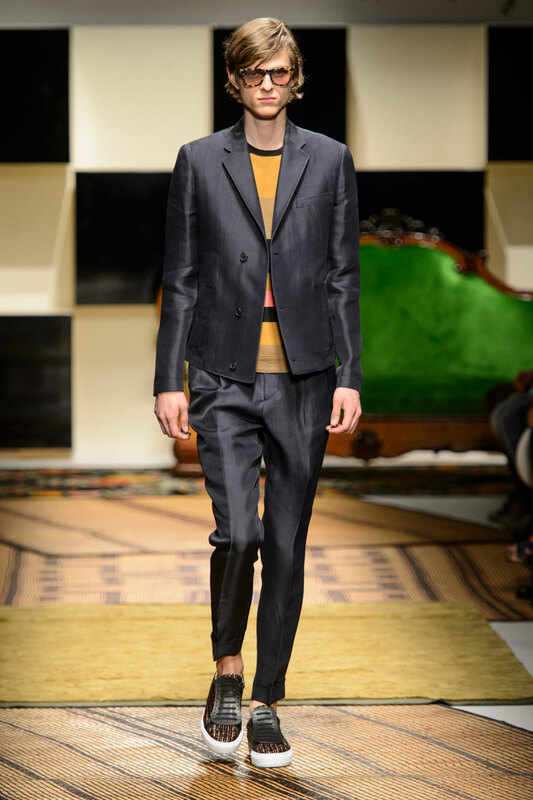 The colour scheme of ‘Ferragamo’s collection is neutral , with mustard yellow , beige and medium brown reigning supreme juxtaposed against 70’s style jumpsuits and zany tees. 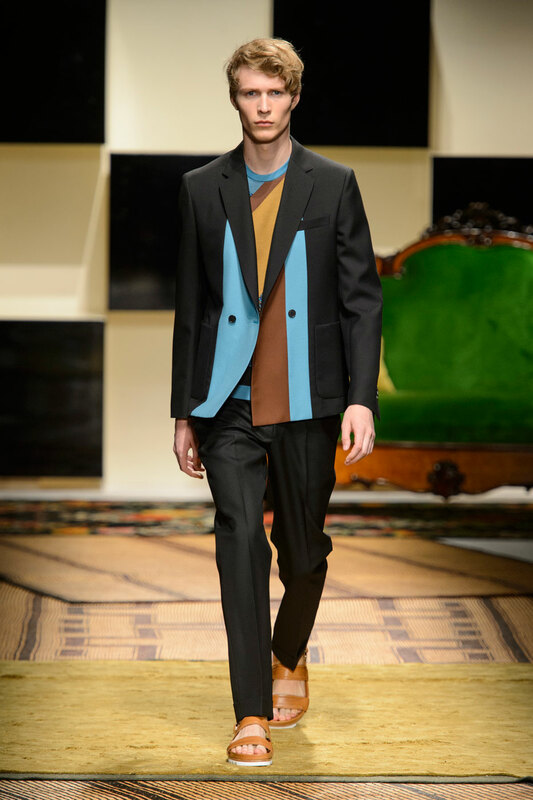 Each shirt or jacket uses the 70’s colour scheme through chunky colour blocking which appears to be painted lovingly by hand. 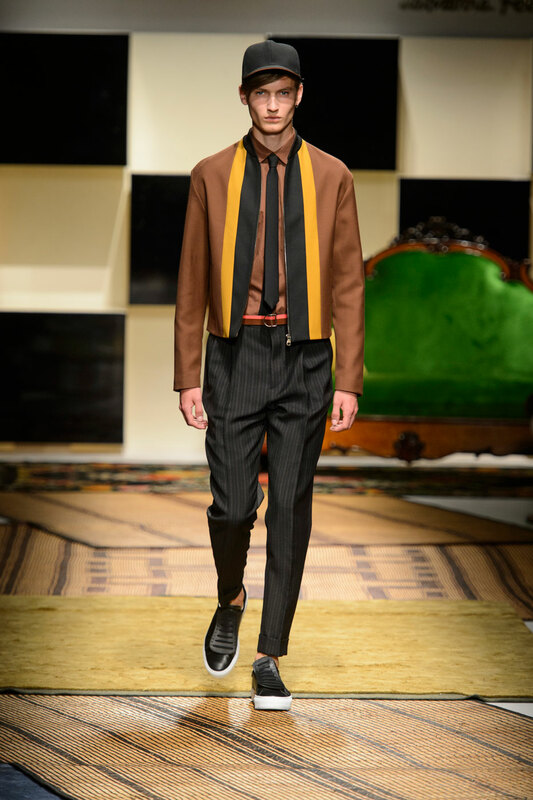 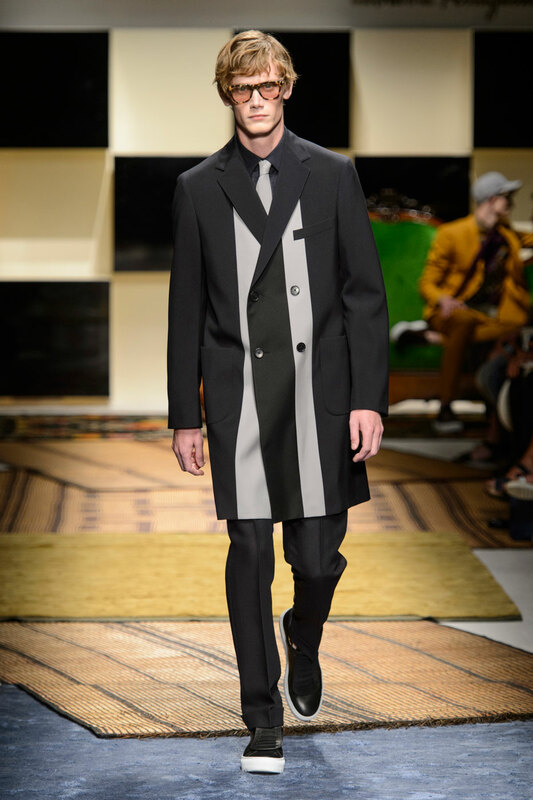 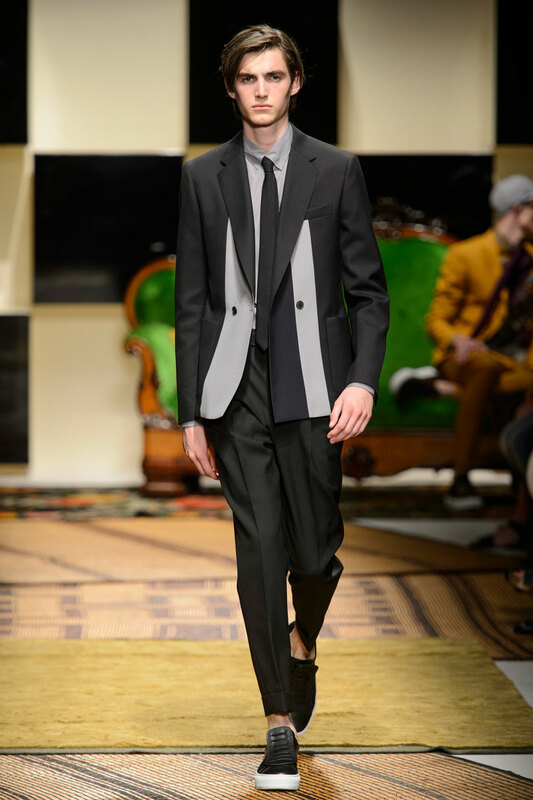 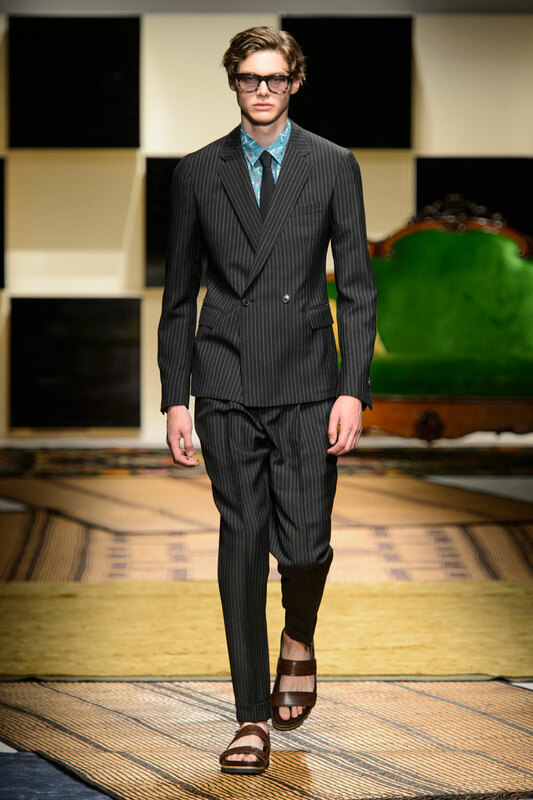 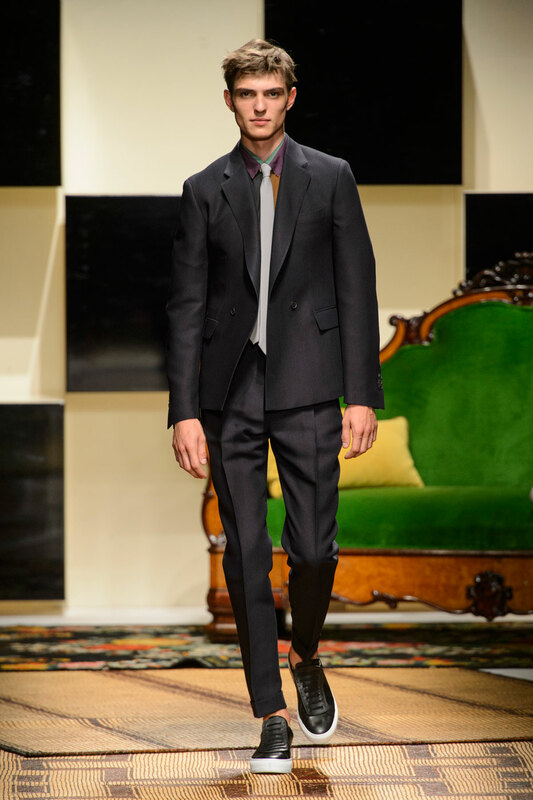 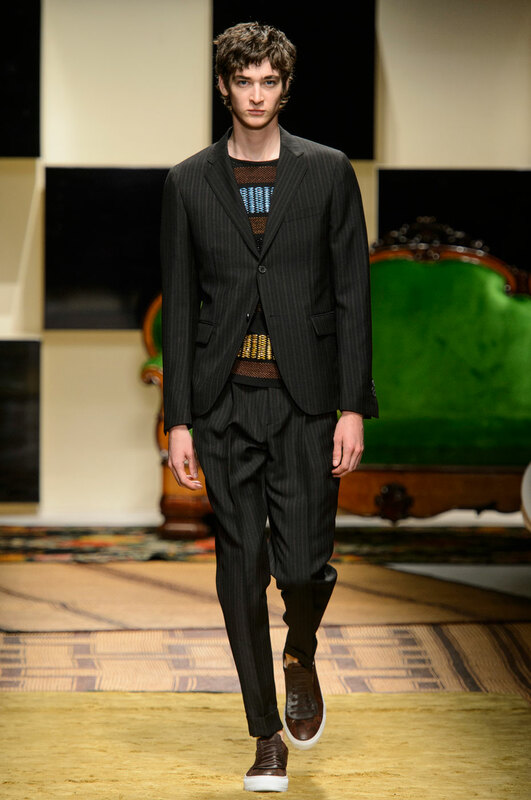 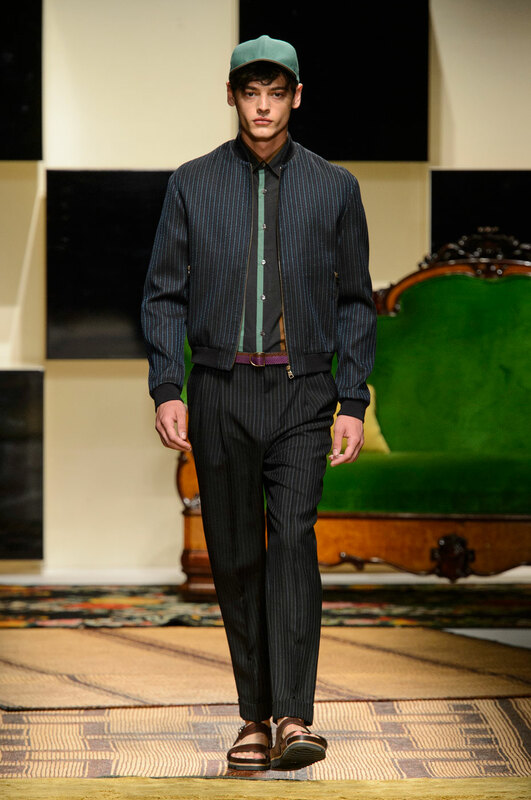 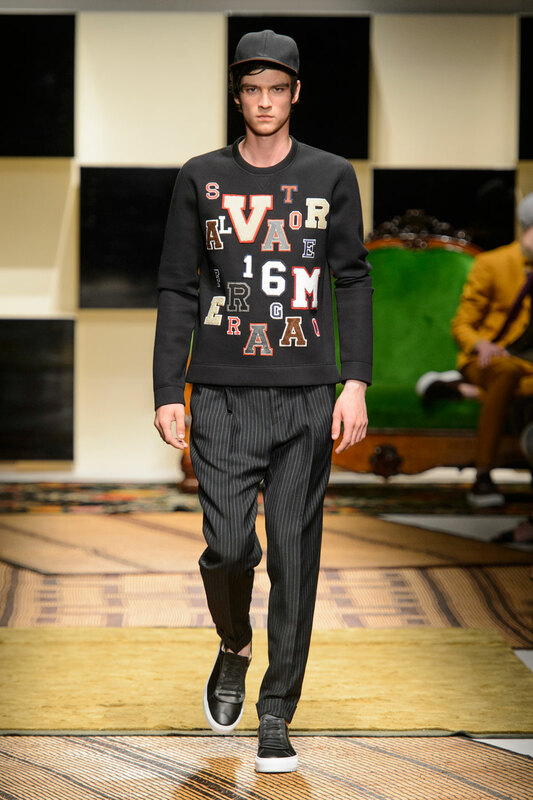 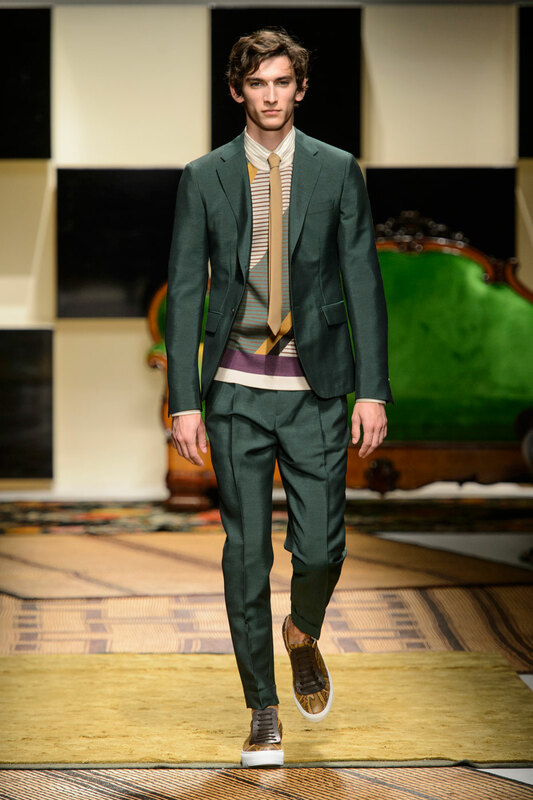 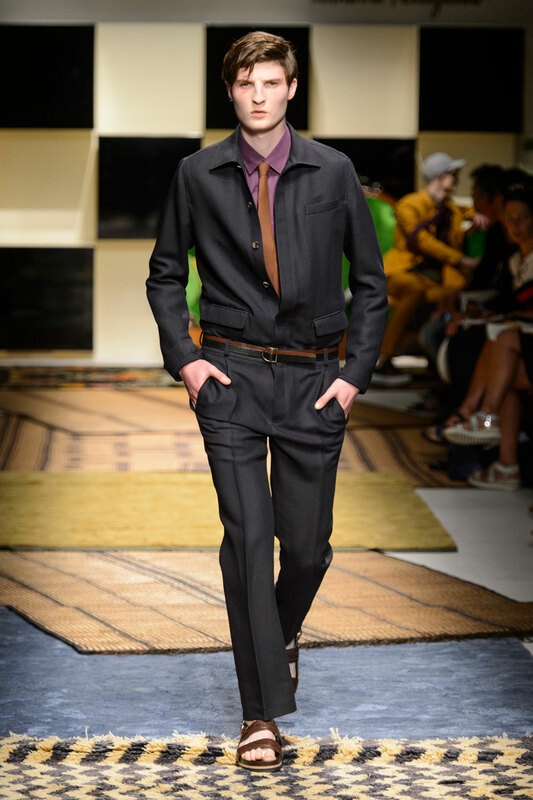 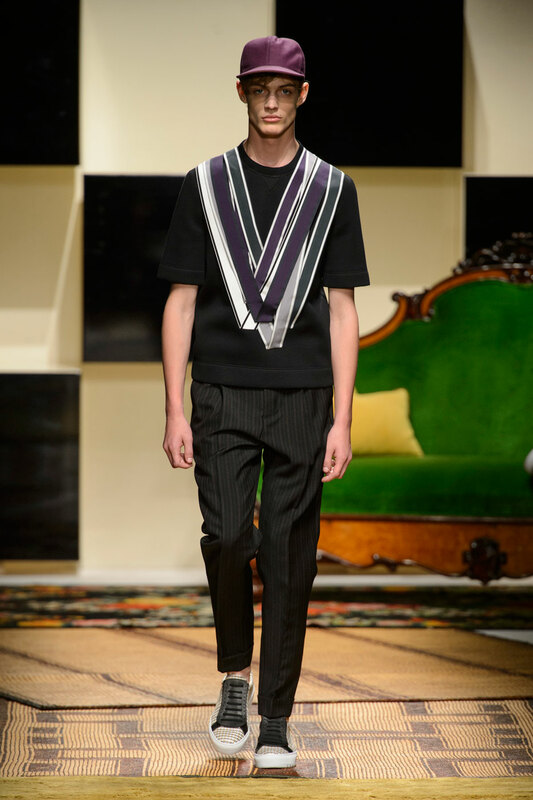 The creative direction of the collection is not limited to key outfit pieces either with key focal accessories including skinny neutral ties and transparent thick rim glasses ruling the roost. 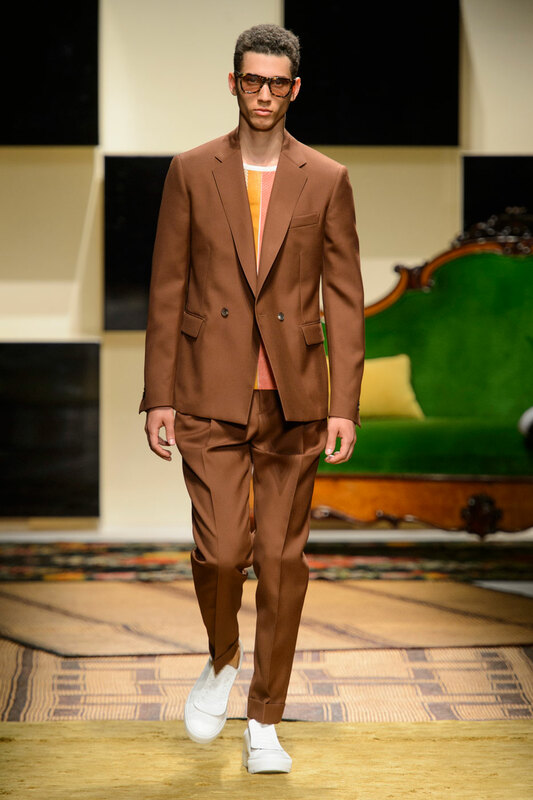 The overall aesthetic of the collection is simple ; through simple formal wear , the 70’s vibe can be implemented through neutral colours that clash against the colour blocked t-shirts and jackets.